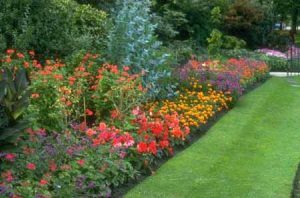 As a home gardener in Fort Worth, Texas, it would greatly benefit you to enlist the services of Fort Worth landscaping company Blooms Landcare to keep your garden looking beautiful. Our company can assist you in plant installation and help you to choose the right plants for your yard. When you explore which plants are native to the Fort Worth area, you can select those that will thrive and last for many years to come. If you are looking for the perfect landscape design in your garden, you may want to start with the right grasses. The native grasses in Fort Worth are prairie grasses such as Indian, Mexican feather, blue stem, and buffalo. Buffalo grass is particularly resistant to drought and will perform extremely well even in the driest conditions. There is also a lovely grass called Lindheimer’s, which can grow quite tall and blooms tiny white flowers. Many of the plants that are native to Texas in general are drought resistant. This of course includes cacti and succulents. The yellow native daisy is a lovely flower that can shine in your yard, as can cenizo, which is a shrub that sports pretty purple blooms. It can perform well even with very little water. Passion fruit is attractive for your garden and provides food for small animals as well as you and your family. The black eyed Susan is a pleasant plant that sports flowers with petals of red, yellow, or orange with a brown head. These plants can grow to up to six feet tall and prefer full sunlight. At the same time, they are great options for your yard because they are highly adaptable to a variety of soil types. It is worth noting, however, that they require regular watering. The aster is a great plant for your yard that is adaptable to essentially all soil types. Flower colors vary from pink, white, blue, red and purple. This plant can grow in heights of up to six feet and require a location that receives full sunlight. Asters are often compared with daisies due to their pleasant appearance. If you are interested in planting the best blooms and trees for your yard, Blooms Landcare can help. Contact us or Call us today at (817) 688-5352.